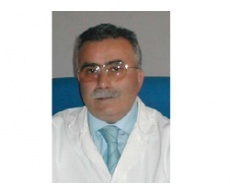 Carlo Pafumi Pafumi is an Italian obstetrician, gynecologist, researcher. Member of American Association for the Advancement of Science, Società Italiana di Colposcopia e Patologia Cervico-vaginale, Società Italiana di Ginecologia ed Ostericia. Prof. Carlo Pafumi received a classical education in the year 1969.He then joined the Faculty of Medicine, University of Catania, where he graduated in 1975 with honors, praise, and the proposal to award G.Cutore.